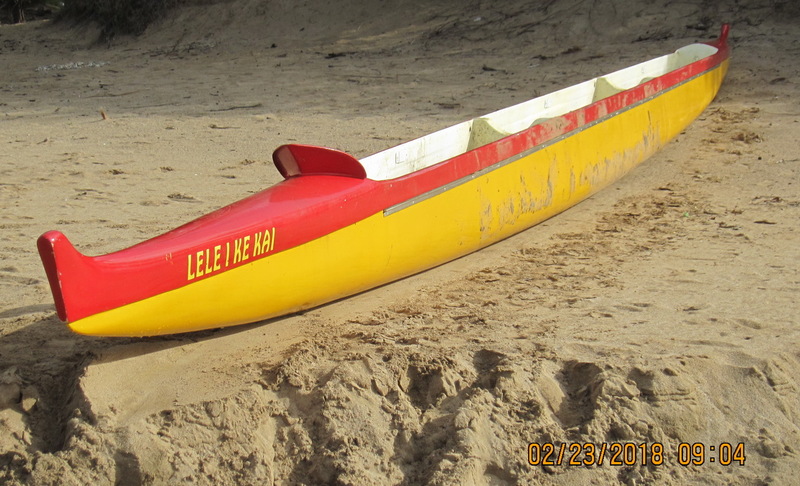 UPDATE 2/24/18 We had a reader comment, I thing that is Uncle Kimokeo’s boat, Billy Jackson usually steers it on weekends.if I’m not mistaken” We honestly have no idea about that. 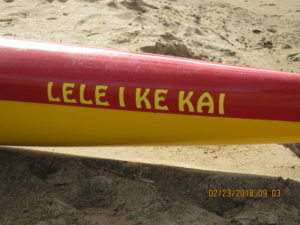 But we did observe this morning that the canoe was now moved much closer to SKR, and away from the kai. 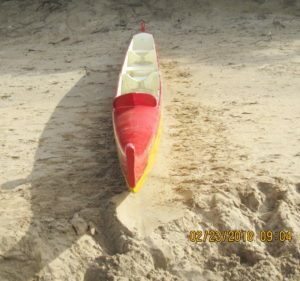 OK, so it is not really a ship; and it probably is not truly abandoned either. 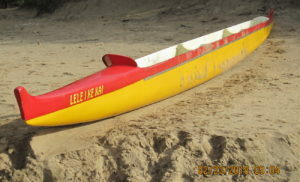 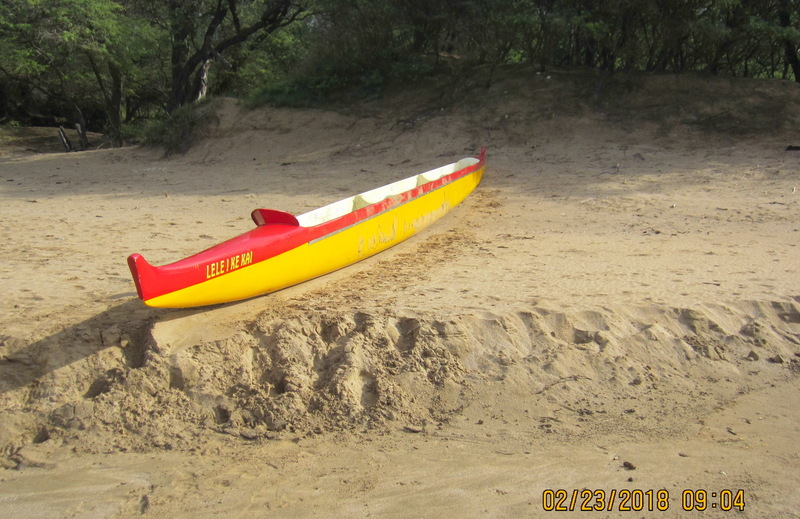 But “beached outrigger canoe” might not have drawn much attention. 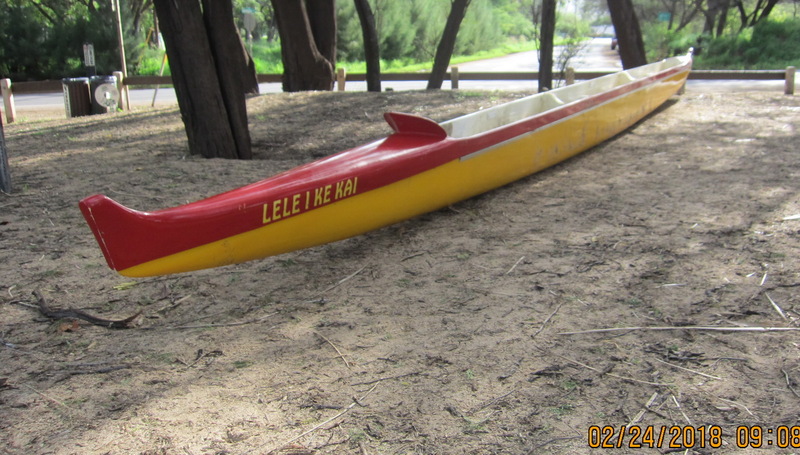 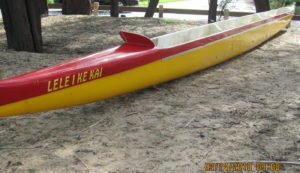 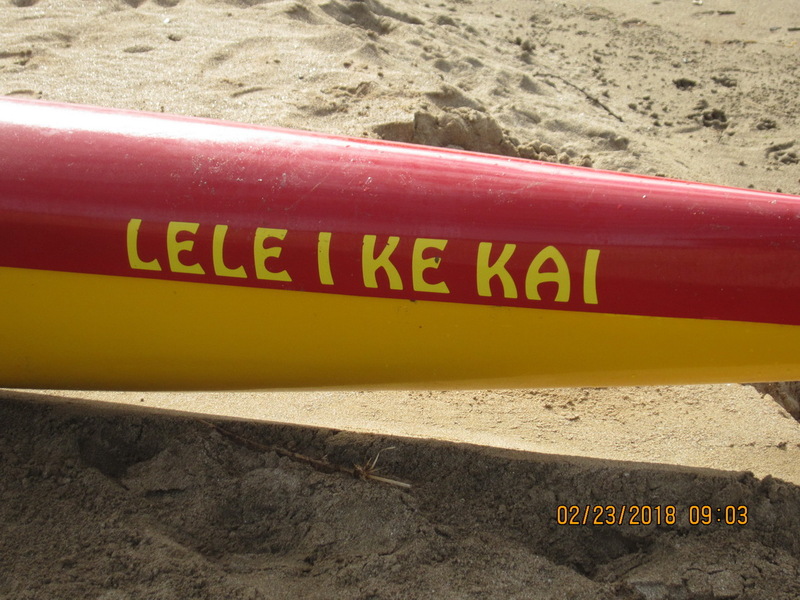 We did not expect when the paddlers set out earlier this morning that they planned to seemingly strip down their canoe, including dismantling the outrigger, and leave it on the sand where the Kulanikaoi River flows onto the beach at Kalepolepo. 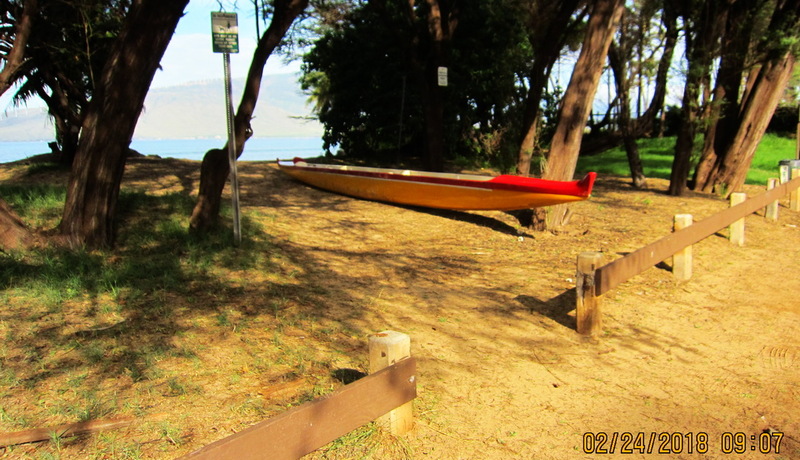 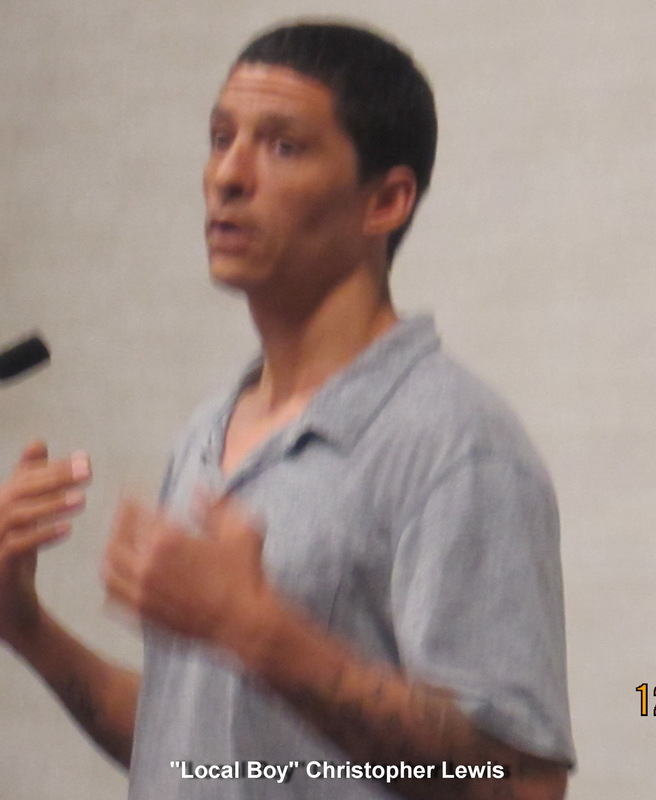 PreviousPublic Meeting in Kihei March 1 – Healthcare for All Hawaii?